There are many situations in which you may need your sound in a particular format (for example, you want to put it onto an audio CD or a portable music player). 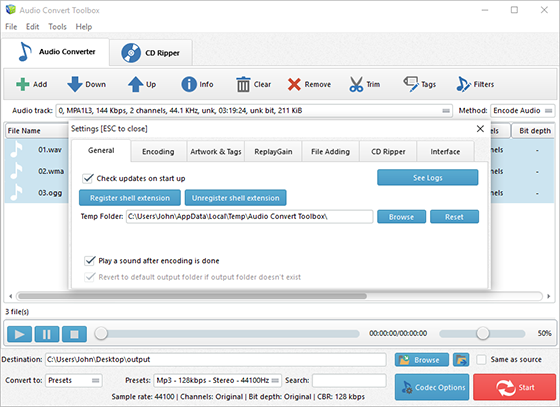 Then you may need an easy-to-use sound format converter like Audio Convert Toolbox that converts sound files from one format to another. 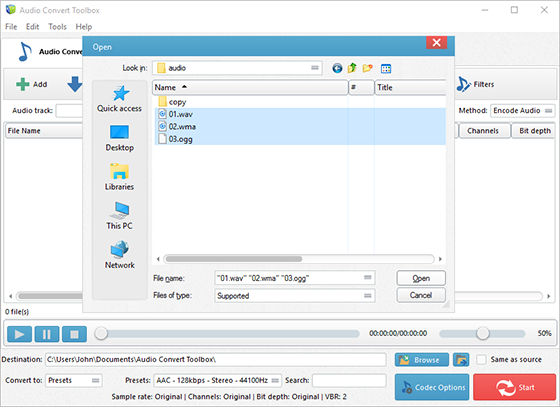 The program can perform audio conversion between a variety of different audio file formats. 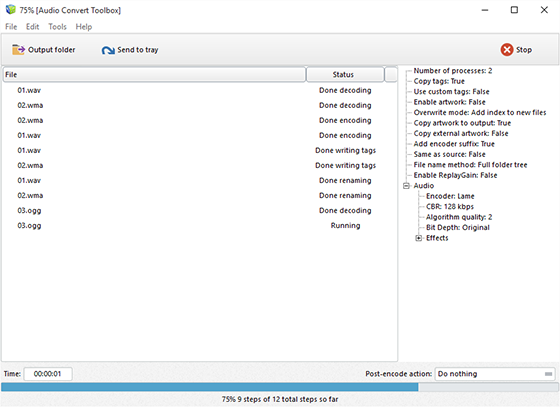 In the menu of “Settings Type”, select one conversion type from “Presets” and “Codec”. If “Presets” has been chosen, you will see a whole list of quality presets in the dropdown menu of “Presets”. Choose the one that best suits your needs. To adjust codec settings, click “Codec Options”. To specify effects and filter settings, click “Filters”. After that, click “Browse” to choose an output folder for the converted audio files or check “Same as source” to save them in the source folder.